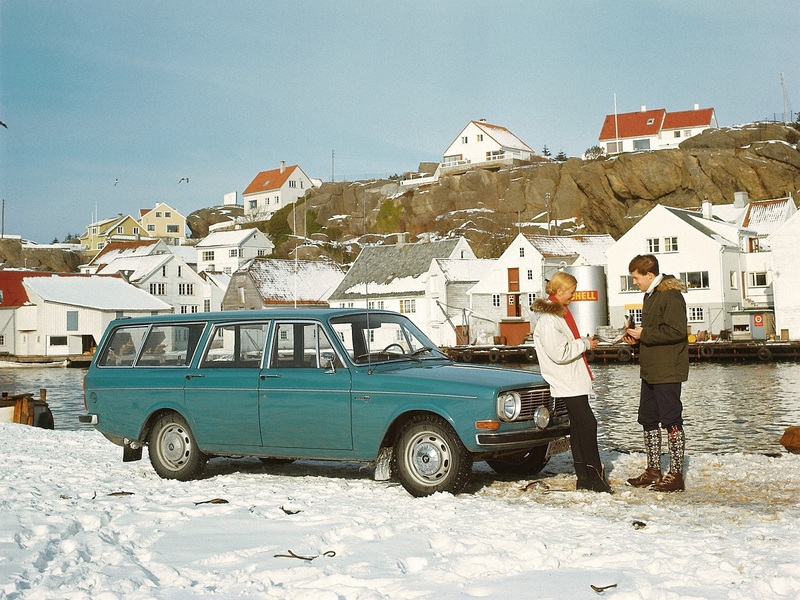 A couple admiring a fish in front of a turquoise Volvo 145. How would you caption this press image from the 1970s? Not now, darling – I’ve got a haddock.